In an ongoing series about the Sand Creek Massacre, last month I told you about Major Ned Wynkoop, commander of Fort Lyon and the man who’d originally been approached by the Cheyenne with a request for peace. 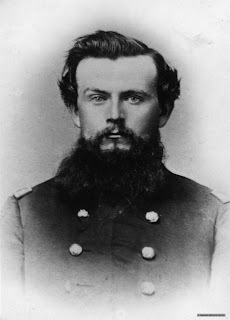 Because of his unexpected action to take various chiefs to Denver for peace talks, Major Wynkoop was later removed from his post at Fort Lyon and placed under investigation by one Major Scott Anthony. Scott J. Anthony was the fourth of twelve children in his family born in January 1830. In his early adulthood, he moved from New York to Leavenworth, Kansas, where he held various positions—from businessman to county clerk to a position as a Leavenworth Ranger, a law-enforcement group in the border state of Kansas leading up to the Civil War. Rumors of gold led Scott Anthony west to the Pike’s Peak region of Colorado in 1860. He and a partner set up a mercantile and did some prospecting, though they sold out and returned to Leavenworth later that year. Again, he went west in Spring 1861, but once he reached his destination, he learned the Civil War had broken out. He stayed in Colorado and enlisted in the Army at the rank of Captain. Very quickly he was elevated to Major and served in some of the same campaigns with Colonel Chivington and Major Ned Wynkoop. Unfortunately, during his tenure in the Army, Anthony’s health took a turn for the worse when he developed scurvy—a disease brought on by the lack of Vitamin C. Aside from bleeding gums and bruise-like spots on the skin, one of Anthony’s more obvious symptoms was that his eyes turned quite red. Within days of Major Anthony’s arrival at Fort Lyon, orders came to move Ned Wynkoop to Fort Reilly while Anthony took over leadership of Fort Lyon. This sudden and unexpected change bothered the Arapaho Indians who had camped alongside the fort waiting for the promised peace treaty. Especially disturbing was the way Major Anthony immediately demanded all Indians currently within the boundaries of Fort Lyon be rounded up and jailed. As per a previous agreement, they were there to receive rations of food and other supplies. When news of these upsetting changes reached Major Wynkoop, he immediately tried to assist in smoothing the transition between his leadership and Anthony’s. He set up a meeting with the Arapaho chiefs to introduce them to the new major. To this point, Anthony’s attitude had been hard-nosed and unbending, demanding that soldiers follow every rule to the letter. However, upon stepping into the Arapaho camp, he softened some. While it went against the rules to allow the Indians to receive provisions, he agreed the arrangement could continue with one condition. As long as the Arapaho remained camped within a mile of the fort, they must give up their guns. Chief Left Hand, leader of the Arapaho, agreed and pistols and rifles were turned over. After that fateful meeting, the Arapaho people discussed the disturbing appearance of Fort Lyon’s new leader and quickly dubbed Major Anthony “Red-Eyed Soldier Chief.” Under Left Hand’s guidance, they continued seeking peace, but Anthony’s blood-red eyes caused no small amount of concern and distrust among the Native Americans. Anthony continued to cause concern for the Indians when he opened fire on a small group of approaching Indians. The fired-upon braves escaped without harm despite Anthony’s best efforts. After this incident, Anthony ordered the Arapaho people to join their Cheyenne friends along the Sand Creek to wait for the coming peace treaty. The Arapaho, hungry for peace, complied. On the night of November 28, Major Anthony ordered his soldiers from Fort Lyon to accompany the 550 soldiers Chivington brought from Denver to the Cheyenne and Arapaho encampment at Sand Creek. You can read here about the massacre that ensued. So what happened to Anthony after the massacre? Well, he changed his tune after that experience. When Ned Wynkoop was cleared of all charges and told to begin an investigation of the massacre, he interviewed many of those involved. One who testified was Anthony, telling of the types of atrocities he and others witnessed and participated in. I can only hope that he was so changed by the horror of what he and the others had done that he decided to do what was right during the investigation, although I’m unsure his true motives for testified against the actions Chivington ordered them to take. 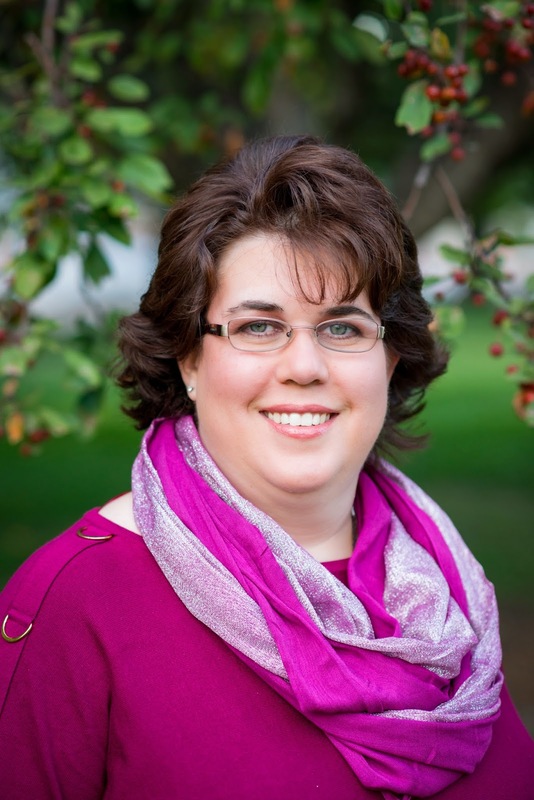 I also want to shed light on one amazing officer, Capt. 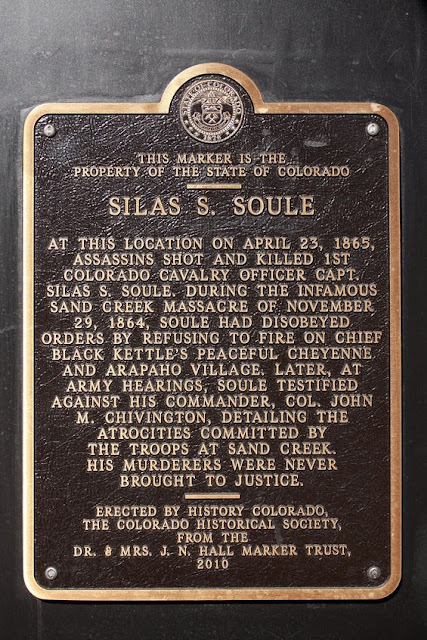 Silas Soule, who was there that day along the banks of Sand Creek. Capt. Soule was originally from Maine but moved to Kansas in the late 1850s. A founder of Lawrence, Kansas, he and his family were an instrumental part of the Underground Railroad. He also proved his bravery and moral character when, after abolitionist John Brown was executed, Soule traveled to Harper’s Ferry and attempted to free two of Brown’s followers. Unfortunately, the attempt was not successful. Like Scott Anthony, the rumors of gold led Silas Soule to the Pike’s Peak area of Colorado. At the outbreak of the Civil War, Soule joined the Army and was commissioned as a Lieutenant. He served in the same campaigns as Chivington and Wynkoop, and once the Confederate forces were repelled, he was promoted to Captain and stationed at Fort Lyon under Major Ned Wynkoop. It was here that he participated in the original contacts with the Cheyenne and Arapaho who came seeking peace. And he, too, accompanied Major Wynkoop and the Chiefs to Denver for the peace talks preceding the Sand Creek Massacre. He’d worked hard, as had Major Wynkoop, to bring about an era of peace with the Indians, so when Colonel Chivington and Major Anthony commanded the troops at Fort Lyon to ride out to Sand Creek and open fire on a peaceful camp, Captain Soule refused. In an act of utmost bravery and conscience, he made it known he would not raise arms against the Cheyenne and Arapaho people, and he commanded the men under him to follow his lead. Of course, this could easily have led to a court-martial for Soule and any men following his direction. Worse, it is rumored and even referenced in Soule’s post-massacre writings that Colonel Chivington threatened his life. 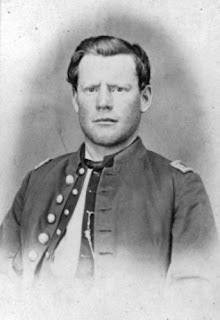 After the massacre was over, Soule returned to Fort Lyon and penned a letter to Major Wynkoop, detailing the barbarity he’d witnessed. If you are interested, the detailed account he wrote can be read here. When the investigation of the massacre began, Captain Soule boldly testified against Colonel Chivington and his men for their many inhumane actions. In April 1865, Soule married and moved to Denver, Colorado. Not long after he testified against Chivington, he was murdered on the streets of Denver, and according to this plaque marking the place of his death, his murderers were never brought to justice. I really enjoyed Sand Creek Serenade. I appreciate the clarification of how Maj. Anthony got his name Red-eyed Soldier Chief. My understanding of the incident is many of the men under Chivington's command had been drinking and were cruel by nature. They had short term enlistments. They reminded me of Quantrill'a raiders ( a confederate troop) who before the war in Kansas and during the war committed atrocities without remorse. What amazed me was Chivington was never hanged. Military personnel who disobeyed a direct order were court martial and the chances of being set before a firing squad kept soldier's from disobeying orders. If all the officers at Fort Lyons had instructed their soldiers to do the same perhaps things would have turned out differently. Hi Cindy. Thanks for stopping by! You are correct that the soldiers drank heavily on the way to Sand Creek, so many were drunk by the time they reached the Cheyenne/Arapaho encampment. And yes, they were cruel. Those who had ridden in from Denver with Chivington from Denver were "100-dayers"--which means they were under contract for just 100 days. They joined up with the intention of killing Indians, and Chivington made sure he gave them that chance. By the time official investigations began on the massacre, the 100-dayers were no longer under contract, and thus, untouchable! Chivington was also out of the military by the time they sought to bring charges against him, so he never suffered official consequences, although there was a heavy shadow that followed him the rest of his life because of the Sand Creek Massacre. Hi I enjoyed the interview, it is very interesting and sad. 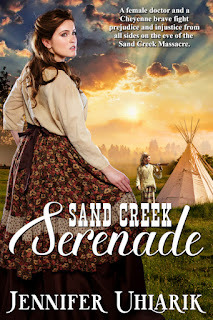 Your book Sand Creek Serenade sounds like a really good read and I love the cover. Thank you for all the information. God Bless you. and then was willing to testify against Chivington's brutality shows he was a man of principle, not just following the next trend. We could use more people like him today! It's sad that he was murdered shortly after. And it's a good reminder that all our rewards aren't on this earth! You are so right, Kathleen! We do need more principled men like Silas Soule! Wish things would've turned out differently for him. His example is one we need in this world, no matter what era we're in! 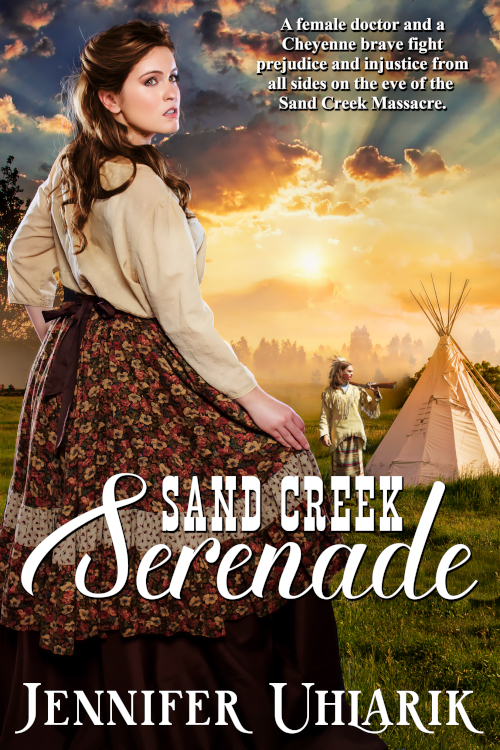 Connie R, you're my winner for the paperback copy of Sand Creek Serenade! Thank you all for your wonderful comments!